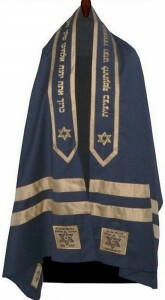 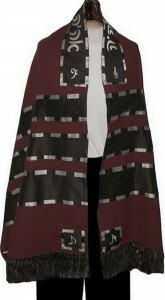 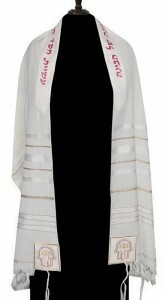 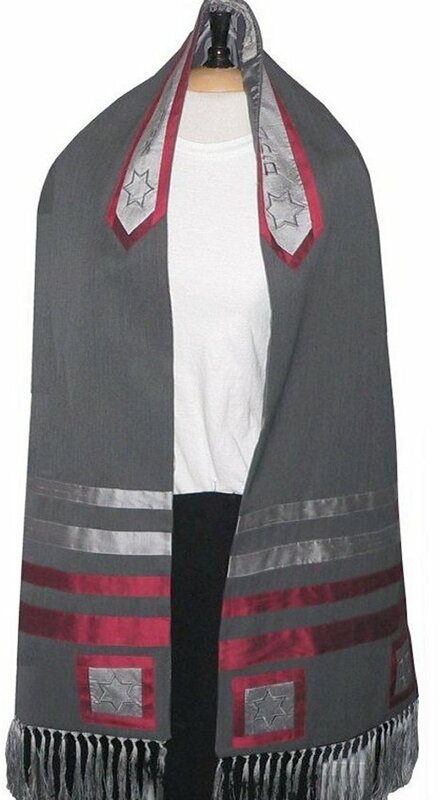 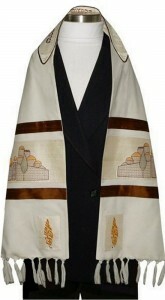 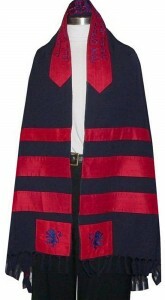 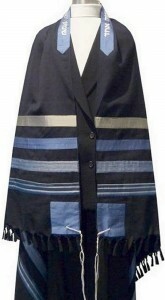 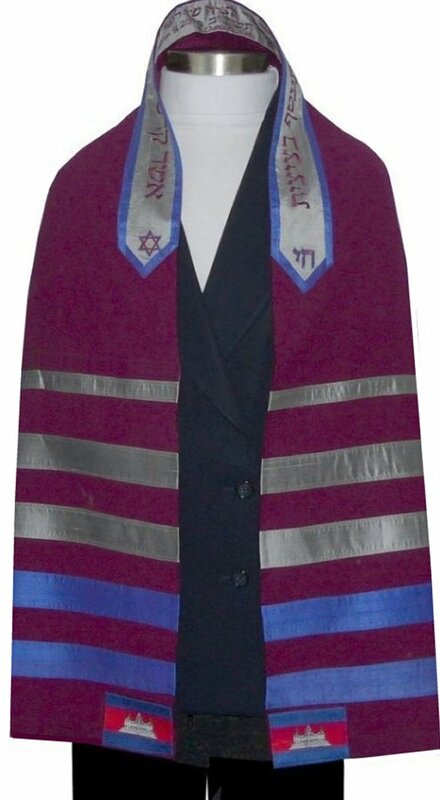 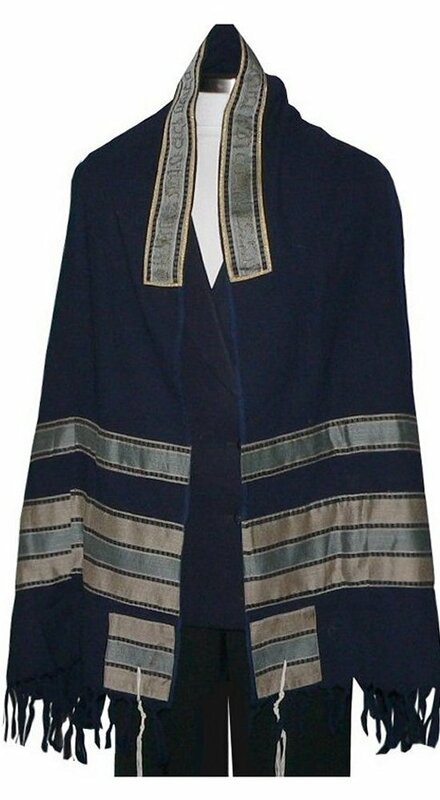 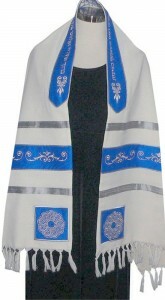 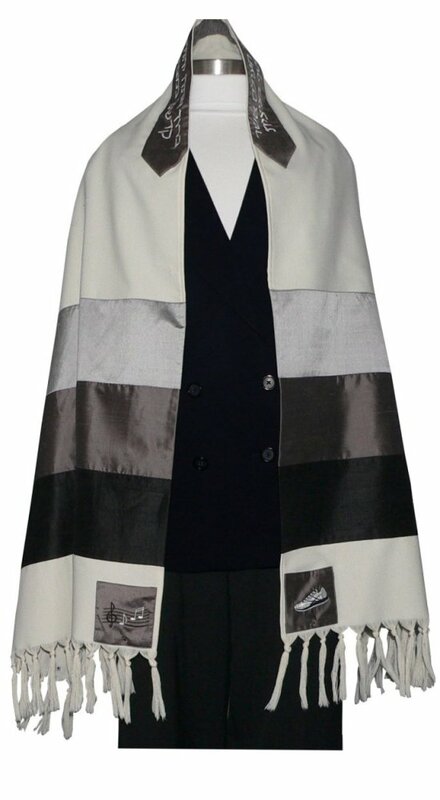 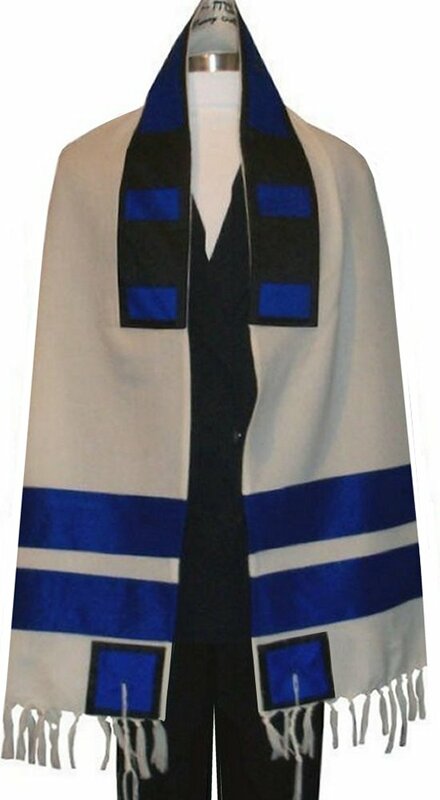 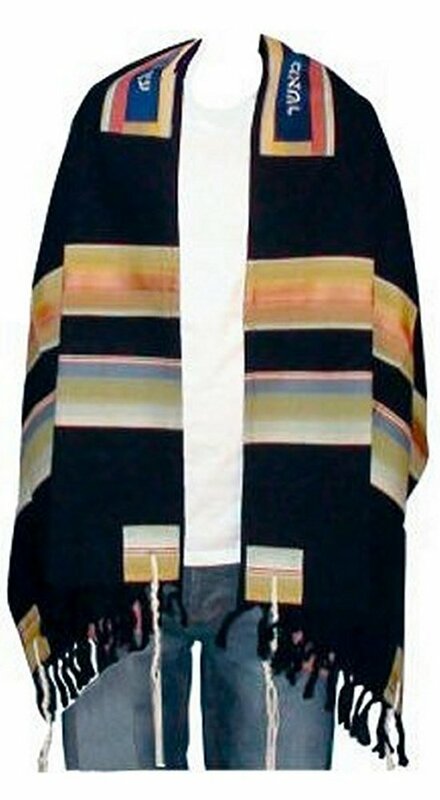 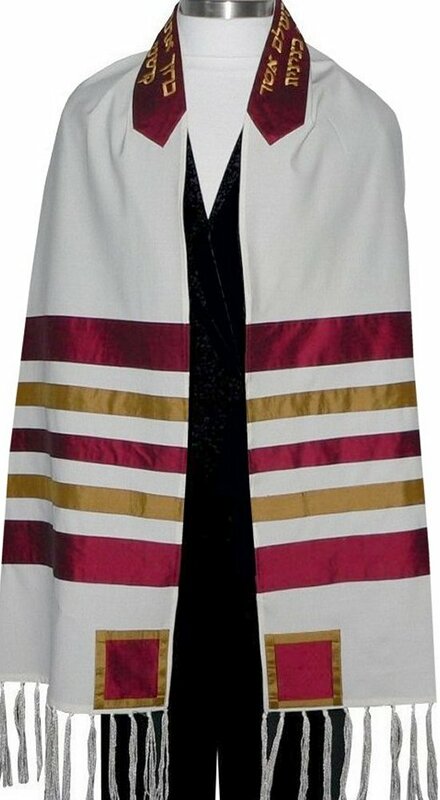 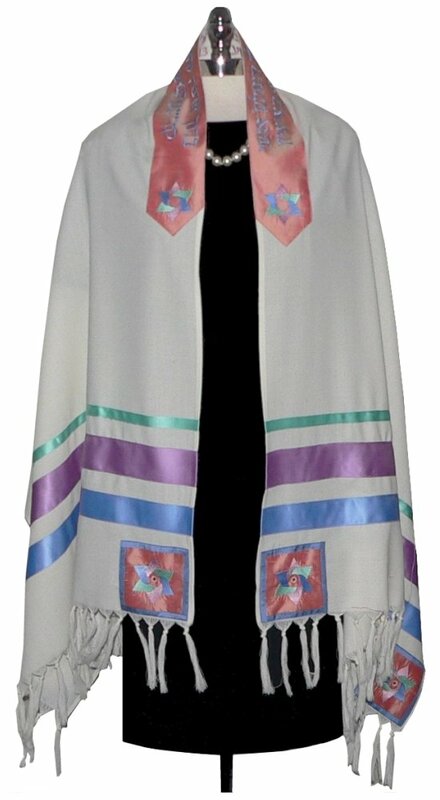 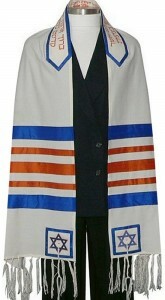 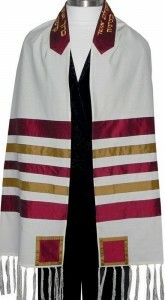 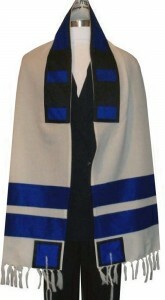 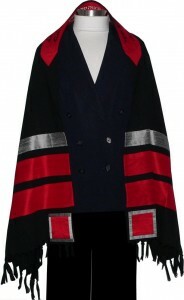 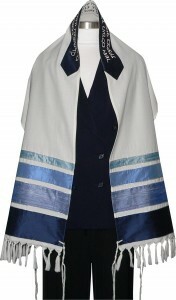 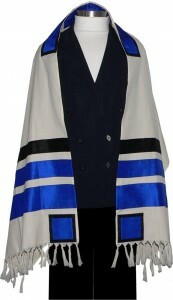 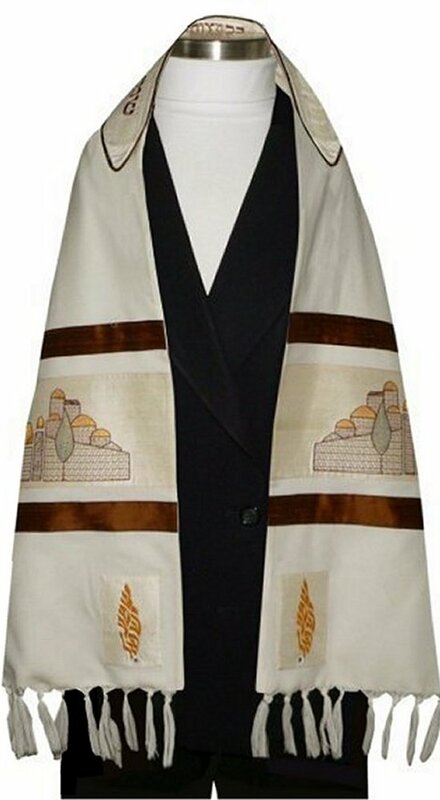 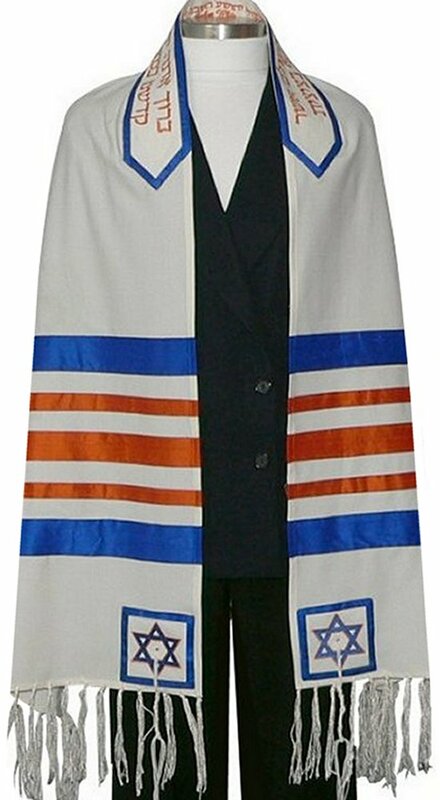 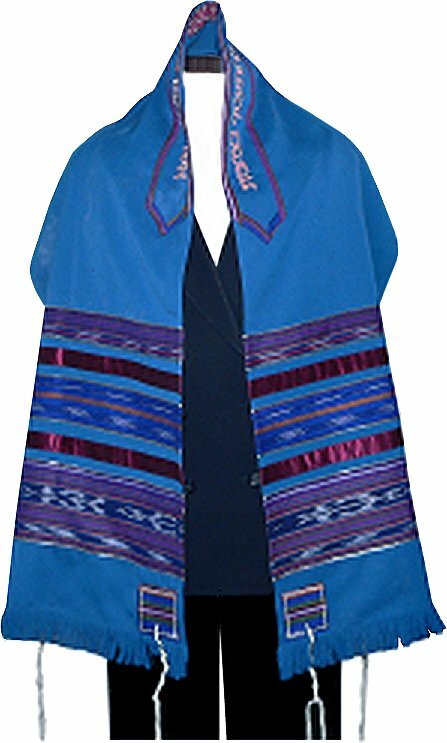 Another very popular style is a tallit with a wool base and the stripes, corners and atarah made from silk. 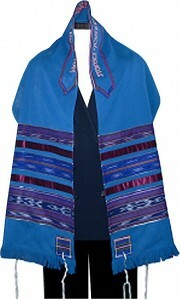 Depending on how the wool is woven, a self-knotted fringe can be made by pulling back the weft threads. Others choose to have a fringe trim added and other have requested a simple hem. 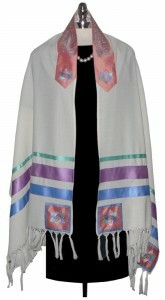 Here are many different colors and designs.